Background: There has been controversy regarding prophylactic cholecystectomy with Roux-en Y gastric bypass. The results reported in open cases showed no significant increase in morbidity by the addition of cholecystectomy. A series of open cases were reviewed to evaluate the propriety of prophylactic cholecystectomy. Method: The records of 141 patients undergoing cholecystectomy during open gastric bypass were reviewed, documenting age, ultrasound findings and pathology. Results: Of the 141 cases analyzed, the incidence of gall-bladder pathology was 80%. 24 (17%) of the 141 patients were noted to have gallstones on preoperative ultrasound examination, and 3 (2%) showed polyps. 9 patients (6%) had gallstones at surgery with normal ultrasound. Cholesterolosis was present in 52 cases (37%) and chronic cholecystitis in 25 cases (18%). 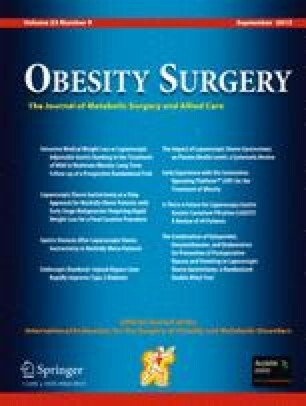 Conclusion: In view of the high incidence of gall-bladder disease (80%) already present in morbidity obese patients undergoing gastric bypass and the lack of significant morbidity in open surgery with prophylactic cholecystectomy, the addition of prophylactic cholecystectomy appears appropriate.